Happy Independence Day! While some of you are thinking of lounging pool side with a frosty beverage while hanging out with friends, you might also be contemplating your upcoming wedding and all the details that need to be figured out. 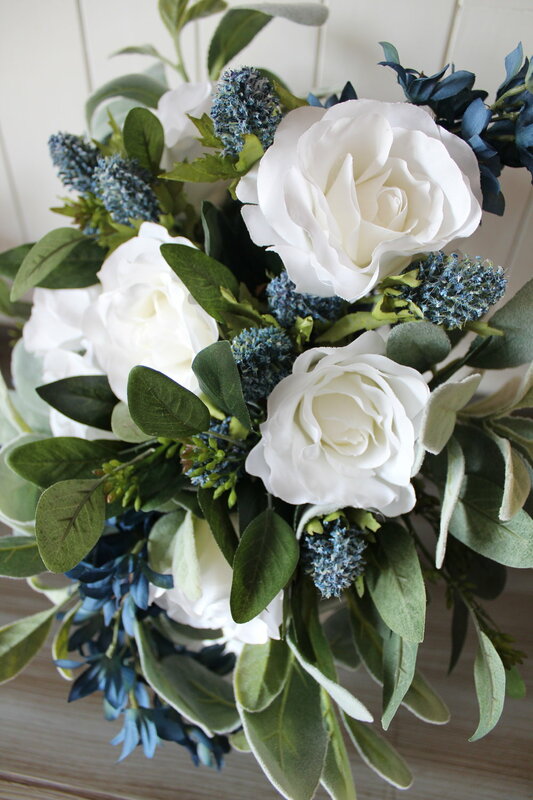 And since it is a national holiday , I thought I'd use Old Glory for some red, white and blue silk wedding flower inspiration. Check back soon for details about this gorgeous red bouquet for southern bride, Catherine. You can read the story behind this simple white bouquet here. Blue can be tricky to incorporate. You can read about how we worked it into Trisha's burlap and lace wedding here. If you're considering planning a holiday themed wedding or a July 4th wedding for next year, contact us today to see how we can bring your wedding plans to life!